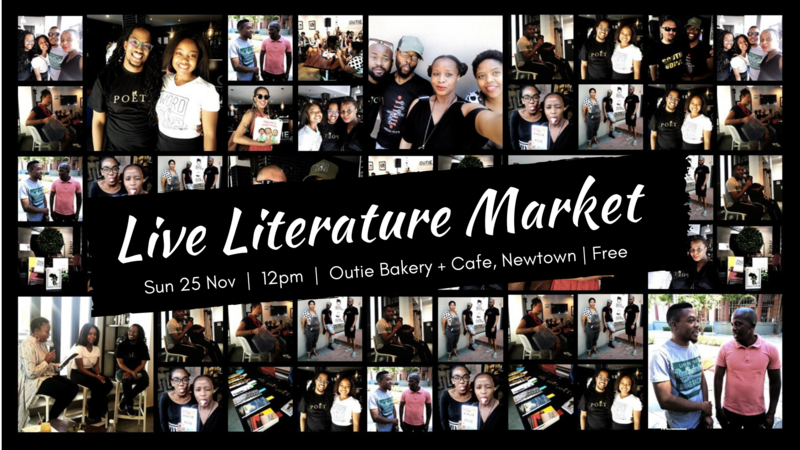 After a successful launch event, we are proud to announce that the Live Literature Market is making its way back to Outie Bakery in Newtown. Join us every last Sunday as we bring book lovers together to celebrate the culture of reading while authors bring their words to life through readings and discussions. The market is open to all authors, all you have to do is register here. An interested author can register to have their titles/ books for sale at the Live Literature Market by filling out the registration form. R100 once off is payable by the author for each title that they register to have on sale at the market. The author will keep all the sales made from the registered title/publication. The Live Literature Market will not charge commission on sales, only the R100 registration fee. There is no limit to the number of titles or copies per title that an author can sell at the market. The more titles and copies sold the better. The Live Literature Market will run a general marketing and PR campaign about the event and titles that will be on sale. Authors are also encouraged to share the marketing material and invite their own fans and audiences to the market to buy signed copies and interact. Check out all the highlights from the first event we held as part of the 8th Word N Sound International Youth Poetry Festival where we sold R7100 worth of books.